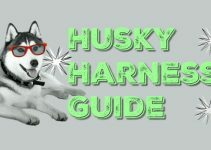 Welcome to the best dog proof trash can guide. This is just what you need when you are endeavoring to keep your pet dog out of the trash! With many brands and sizes available hall with different features and drawbacks it can be difficult choosing the right one for you and your home. 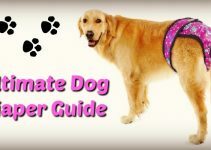 This guide is aimed at those dog owners tired of their dumpster diving dog and their dirty habits! We will show you a range of different trash cans that meet your requirements as well as offer some DIY options for those on a tight budget. If you are in a rush, check out our top 3 trash can picks in this comparison table below. 4 Do you need a pet proof trash can? So many of us dog owners have been there – You’ve walked through the front door after a long day at work, and your nostrils are greeted by the smell of rotting food waste. After an inquiring visit to the kitchen, it turns out that the dog has had a garbage banquet and spread it all over the kitchen and all over the rest of the house if you are very unlucky. Hopefully, you will have a hard kitchen floor that can be cleaned easily with a mop; however, those with carpet will feel the time-consuming pain as they try to remove stains and food waste. There are different reasons why your dog might want to go dumpster diving. The most evident and common reason is the smell of human food is just too alluring to the dog’s sensitive sense of smell. Indeed, sometimes even the most well-trained and well-behaved canine cannot resist. What we humans may throw away as food wastes the night before might smell like a gourmet banquet to a dog. Some dogs crave attention from their owner and soon learn that doing naughty things such as trash can diving gets them in the spotlight albeit in a negative way. First and foremost – they can cause one hell of a mess! Spreading food matter and other nasties over your kitchen are far from hygienic and tidying up is an unwanted choir. If your dog keeps getting away with this behavior unpunished or unresolved, it can lead to them getting into a routine making it and increasingly difficult task to train them to behave. It can also lead to other bad behavior further down the line such as furniture destruction or destroying your valuables. Your household trash can be harmful and potentially deadly to your dog. Along with food waste, we often throw away the remnants of cleaning products that sometimes are poisonous for animal consumption. Also, the plentitude of different waste can include sharp objects and choking hazards that could cause internal injury if swallowed. There are a few avenues you can explore to solve this messy problem. You could attempt to restrict your dog’s access to the kitchen. Depending on how naughty your dog is, you might be able to get away with just doing this when home alone. Of course, the ability to do this is entirely dependent on your housing circumstances amongst other things such as home layout and the number of doors. Most people keep their dogs food and water in the kitchen also which brings up issues. You could try moving the trash can to another location in the kitchen where the dog cannot gain access. Some examples include high up on the work surface or perhaps locked behind a cupboard door. The former is quite an attractive solution as kitchen unit doors can be quickly locked with childproof locks which are cheap and easily available online. There are some excellent kits available online that give you easy access to your trash via a sliding mechanism that comes out when you open the cupboard door. 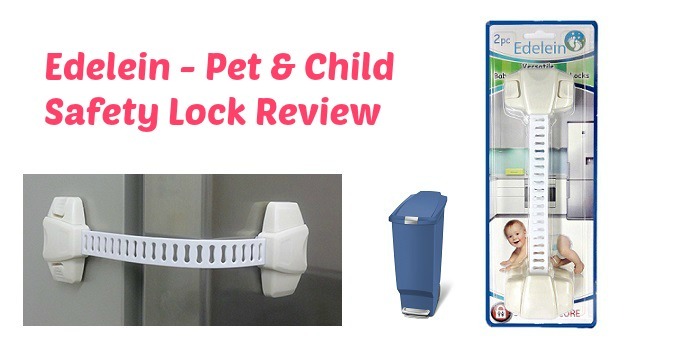 This is a great solution when paired with the child locks as mentioned above and is both convenient and money saving. If your trash can is too large to fit into any of these places, then you might consider downsizing to a smaller trash can. It could be argued that if you are going to make an effort to replace your trash can, then you might as well get a lockable one that solves the doggy litter problem anyway. Training your dog to behave in the house can be a lengthy process and is not an overnight solution. Every pet dog should be housetrained to prevent them from unruly behavior that could potentially cost you a lot of money from house and furniture destruction. Keep in mind that sometimes even the best-behaved dog can not resist the smell of food in the trash can, especially if left home alone and they are getting hungry. It is best to opt for the side of caution even with well-trained dogs and keep your trash away from their access or securely locked away. You could consider crating your dog especially at times when your pooch is restless and prone to bad behavior. Probably the simplest and most reliable method. 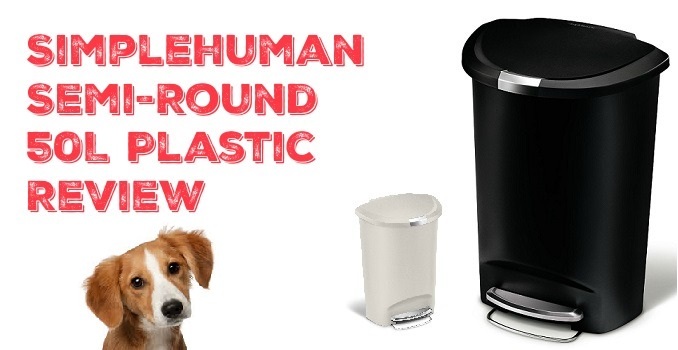 This article mainly focuses on trash cans for dog owners. We at Doggy Toggery will take a look at a wide selection of trash cans and decide if they are worthy of being classed as dog proof. Looking at some factors such as size, materials used and locking mechanisms will help us to list their advantages and disadvantages before coming to a conclusion. We will also take into account other data such as customer reviews already on the web and the official figures from the manufacturers. Do you need a pet proof trash can? Locking Mechanism – Arguably the most important thing is the locking mechanism. Some locks are quite simple, and some are high-tech. The lock should be efficient, secure and relatively easy to operate. Never underestimate a dog’s ability to figure out man-made contraptions though as many of us can attest, dog intelligence is often underestimated. For the DIY savvy amongst you, you might prefer the cheaper option of adding a locking mechanism to your regular trash can. There are plenty available. When lock shopping – be sure also to check out the child proofing section of retailers as they more or less do the same thing. Size – The size of your dog will play a huge part in the trash can buying process. For example – You might have a small dog that likes to tip the trash can over to access the waste inside… this could potentially be solved by simply buying a garbage can that is much larger than the dog. You might have a large dog in which case there will be no room to increase the can size without things getting ridiculous forcing you to look at other options. Weight – A typical method dogs employed to gain access to the trash is knocking the trash can over. Depending on the breed of the dog and the size of the garbage can many people will be able to solve this problem by adding some house bricks to the bottom of the trash. Tall and slim trash cans tend to be easier to knock over, and those with solid backs that can be rested up against the wall are harder to knock over. 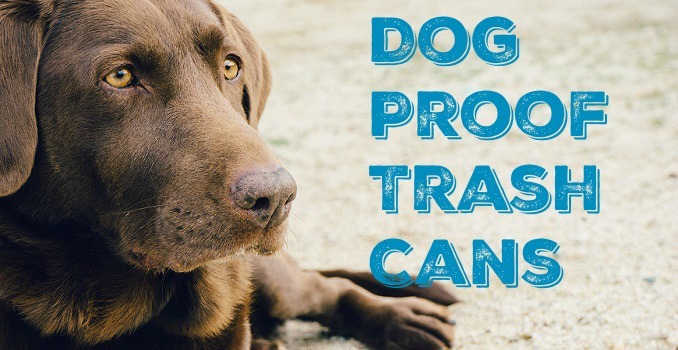 We have researched a wide variety of dog proof trash cans available online and picked out those that most would consider “dog proof.” We have assembled them into this helpful comparison table with useful data such as budget, rating, and size. Touch-free trash cans. Fancy technology is not needed when you have a dog. Sensitive IR sensors are fragile to damage especially if the garbage can is knocked over on a regular basis. Trash cans smaller than your dog. Always aim to get a trash can larger than your dog. 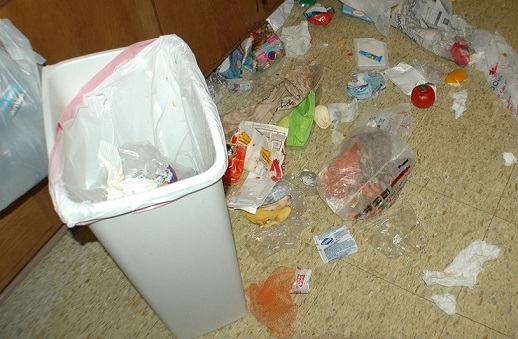 Smaller trash cans can easily be knocked over by a dog and over time this will wear down the integrity of the garbage can and can also destroy the locking mechanism. Swinging lids. Trash cans with swinging lids might be convenient for non-pet households, but those with dogs should think again. They provide very easy access for dogs too, and indeed cats have been known to jump into trash cans via this type of lid. In the middle of the size scale is the premium stainless steel Simplehuman Butterfly 30L trash can. This is one of a range of different size butterfly cans by SH that features a unique butterfly opening lid which makes it tough for prying canine noses to enter! This type of opening lid also benefits those want to place their trash can in areas of low height clearance that a regular single lid would not be able to fully open. There is no dedicated locking mechanism, but the action of opening the lid would prove to be tough for a dog to do at the same time as poking their nose in the trash. This would be particularly challenging for small dogs as the butterfly lid auto retracts into position rapidly. The butterfly lid is excellent for those with pets, but it also comes in handy when you need to throw something away, and you have no hands free to open the lid. There is a broad range of sizes of their model of trashcan so it is worth checking them all out to find a suitable match for the size of your pooch. As you would expect at this price – the build quality is second to none. It is commonly referred to being “a beautiful trash can” that should tell a story on its own! It is constructed of high-quality stainless steel that is rust resistance and fingerprint proof making this an ideal trash can for those that rank kitchen aesthetics above all. 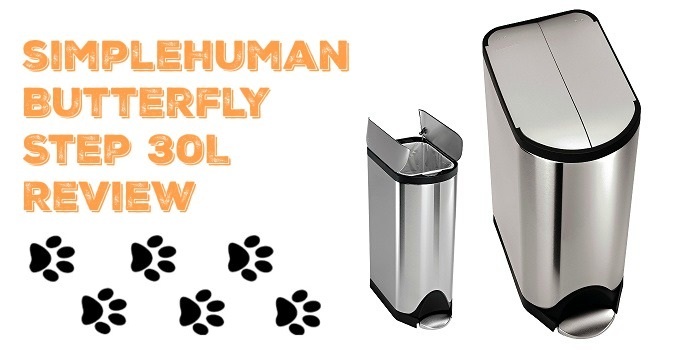 If you value aesthetics more than anything else and are willing to spend more money on a product that looks beautiful as well as keeps your dog out of the trash then the Butterfly trash can is for you! The Simplehuman Slim plastic trash can is a great option to slip into those narrow spaces in the kitchen. It is inexpensive and good for those on a budget. The first thing that needs to be mentioned is that there is a range of 5 colors to choose from. The colors available while not being as prestige as the stainless steel cans, give much more of a chance of matching it to your kitchen decor and on a budget. The gray plastic would work well if you have a lot of stainless steel appliances. The design is aimed at being space saving – i.e., the fit between narrow gaps however this can be a burden if you have a strong dog that can tip the trash can over. The feature of interest on this dog proof trash can is the slide lock on the front of the lid edge, this helps keep the kid from being opened by dogs or other pets. When you factor in the lock and the lid opening pedal you can only come to the conclusion that it would be nearly impossible for a dog to gain access. Their only hope of success would lie in tipping the trash can over and the lock failing, but even that is a stretch. This trash can is more vulnerable to tipping over if it is sat out in the open as opposed to in a narrow, tight fitting area. Over a whopping 1400 reviews available online from customers and the vast majority of them are painting a positive picture of this trash can. Many of those are dog owners and have praised the dog proofing capabilities of this trash holder. A great space saving lockable trash can that is inexpensive as well. The pedal operated mechanism makes throwing trash away comfortable and convenient, and the choice of colors allow you to suit your kitchen decor easily. The Simplehuman semi-round trash can is similar to the previously reviewed ‘Slim’ trash can. Both are made by the same company, and they are built with the same materials and have the same features. The semi-round trash can is shaped differently and best suits those wanting their trash can lean up against the wall giving stability. The Semi-round Can comes in 7 different colors to pick from giving you a great palette to match your kitchen decor with. If your kitchen features a lot of stainless steel appliances, then the gray plastic would be an ideal match. The main feature is the sliding lock on the front edge of the lid. This allows you to lock the lid closed essentially disabling the pedal – Ideal for those with pets or young children. Even if your dog somehow figured out how to unlock the trash can, they would also need to operate the pedal. Both scenarios are highly unlikely giving you a lot of peace of mind. This trash can is best for sitting up against a flat surface such as the wall. If you have a narrow gap you wish to fill, then the Simplehuman ‘Slim’ would be a better match. There are over 2000 customer reviews available online, and the vast majority of them are positive giving you full peace of mind. Some people have commented that the can is not heavy enough and their dog has managed to knock it over but the locking mechanism did not fail. If you are concerned about the weight, you could add a house brick to the button of the can to make it heavier. This trash can is ideal for those of you who don’t want to spend lots of money on a garbage can and want a basic locking mechanism as opposed to a more hi-tech approach. This trash can is suited to being stood up against a wall as opposed to fitting in between narrow gaps. If you already have a trash can, you might consider a DIY solution to modify what you already have to make it fully fledged dog proof trash can. This is a great option for people on a budget but is not 100% foolproof. Safety locks allow you to lock things like doors and lids for the security of children and to keep pets out. They are excellent if you have a weak or small dog, but they are vulnerable to brute force. They could be unlocked or indeed broken off by a powerful animal that is relentless in their attempts to get into the trash. These types of locks can also be used on kitchen cabinet doors if you have opted to hide your trash can away inside the cupboards. Great product for keeping little hands out of of things! There are numerous reviews online from specifically dog owners that have used these locks to good effect and they are inexpensive so it’s not the end of the world if they do not perform. For those on a budget or people who prefer their existing trash can – modifying it using safety locks is a cheap alternative to buying a dedicated lockable trash can. An attractive option for those with trash loving pooches is hiding the trash can in a kitchen cabinet. 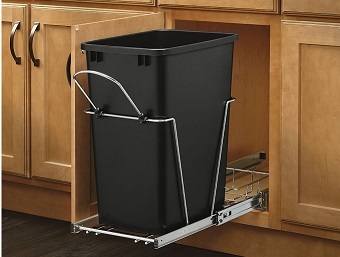 There is a huge selection of trays/shelves contraptions that make the trash can extend out when you open the door making this a very convenient way of storing your trash can. Generally, this setup makes it tough for a dog to access the trash and indeed it also removes a lot of the food smell that comes from the garbage. The dog’s ability to open the cabinet door greatly depends on what kind of handles you have. Of course for extra security cabinet locks or child/pet proof locks can be installed to the door. Before purchasing an expandable cabinet shelf, it is important to take precise measurements of your cupboard units to find out what unit you will need to buy. Rev-A-Shelf has products an all in one kit that consists of the trash can and the mounting hardware. This product is an excellent way to hide away your unsightly trash from animals and children. It is relatively easy to install (under 2 hours) and is made from high-quality chrome. The sliding mechanism is based on a ball bearing design that makes for a very smooth operation. Of course for maximum security, you will probably want to install some cabinet door locks – Either proper kitchen fitting locks or a cheaper ‘child proof lock’ alternative already mentioned in this article! A good solution for people that want to keep their pets out of the trash and also keep the unsightly trash out of view in their kitchen. This also helps keep food waste from smell from permeating out into the open. If you want to learn more about controlling your dog as well as general dog communication and information we highly recommend “Cesar’s Way: The Natural, Everyday Guide to Understanding & Correcting Common Dog Problems.” It is a comprehensive resource filled with a lot of information related to correcting common dog problems. The book sports over 1300 customer reviews that are overwhelmingly positive. 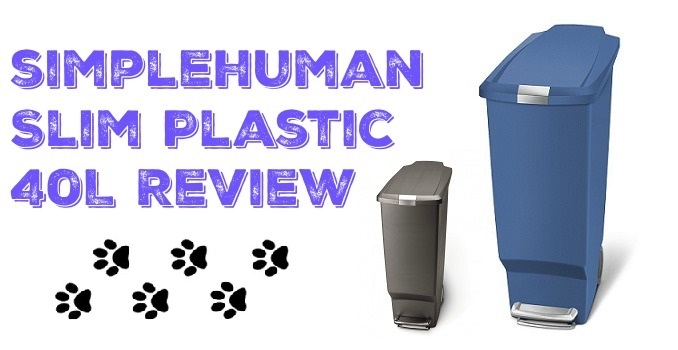 We hope you enjoyed this article and our reviews and it helped you in your quest for a dog proof trash can! Sometimes your pet pooch just cannot resist the smell of your food waste festering away in the garbage can! Dogs are one of the most popular household pets in the western world, and it stands to reason that a lot of people will be seeking out ways to dog-proof their trash cans. Make sure you shop carefully and pay attention to a wide variety of customer reviews including the negative ones. If you have any suggestions or comments, please feel free to add them below. Please also share any funny dog trash can related stories you may have as well! Thanks for this! I didn’t have great luck with the first one – my black labrador found a way to get into it and have eaten the lid thus the lock is damaged. I think my only option is a industrial bear proof one LOL.. Even though they are pricey and look horrific. I found the best place to hide the trash is under the stairs haha!